That November they transformed a ballet studio at the Goggleworks Center for the Arts in Reading into a place of worship and Grace Outlet was born. Just over two years later, attendance on Sabbath morning has reached more than 80 people. Ray Hartwell, conference president, and Pastor Eckenroth recently led the organizing service as Grace Outlet officially became the newest Pennsylvania Conference church. 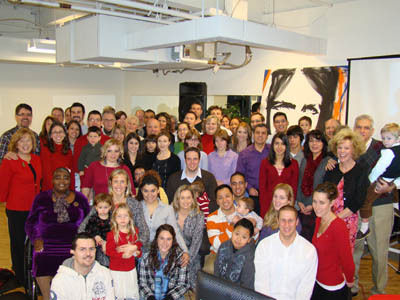 Nearly 60 became charter members of this new church that is committed to connecting the disconnected. “It was such an awesome day to see so many people who may have not been connected anywhere, choosing to be part of the body that will continue to take the good news to our community," states Eckenroth.